London: Embattled British Prime Minister Theresa May continues her epic struggle to deliver Brexit after winning a confidence vote in parliament on Wednesday. But Leave backers have always been suspicious of having a Remain supporter — which May was before the referendum — leading negotiations. And MPs who opposed Brexit want her to stick tighter to the EU or call for a second referendum that could potentially nullify the first one’s result. Critics from all sides rounded on the leader on Wednesday, with Remain supporting journalist Matthew Parris calling her a “zombie prime minister”, and the Leave supporting Daily Telegraph newspaper warning that she was “out of allies, out of time”. Yet her plan’s provision for a ‘backstop’ to prevent a hard border with the Republic of Ireland, which could keep Britain indefinitely tied in a customs union with the EU, has angered Brexit supporters. The vicar’s daughter has also gleefully seized on a putdown by a party elder that she was a “bloody difficult woman”. But her reserved nature often makes for stilted relations with world leaders and voters, while her staccato speaking style, repeating phrases and avoiding direct questions, earned her the media nickname “Maybot”. May, 62, described herself in a 2012 interview as a “goody two shoes” whose Protestant faith defined her upbringing. The apparent ease with which May positioned herself to become prime minister after the referendum drew praise for her political skills — but this evaporated the following year. 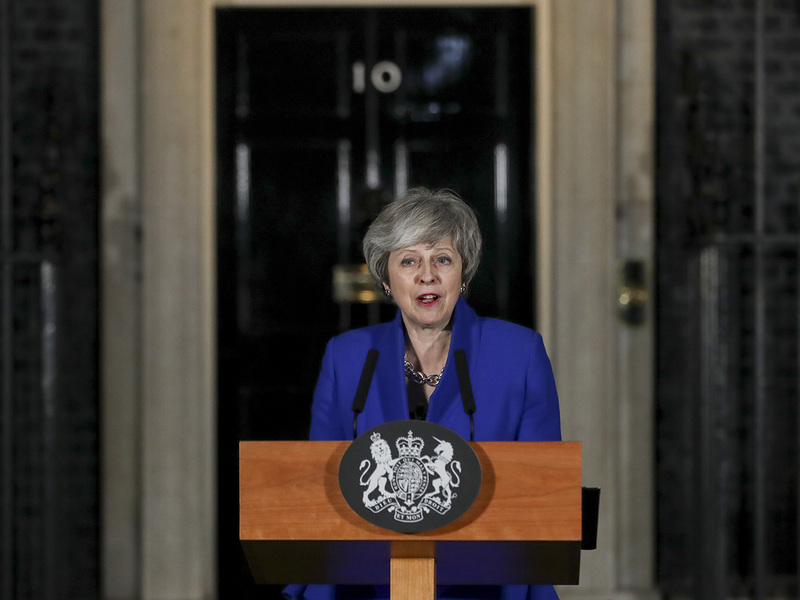 Faced with an apparently unassailable poll lead, she called a snap election in June 2017 to bolster her position and Brexit plan — only to lose the Conservatives’ majority.